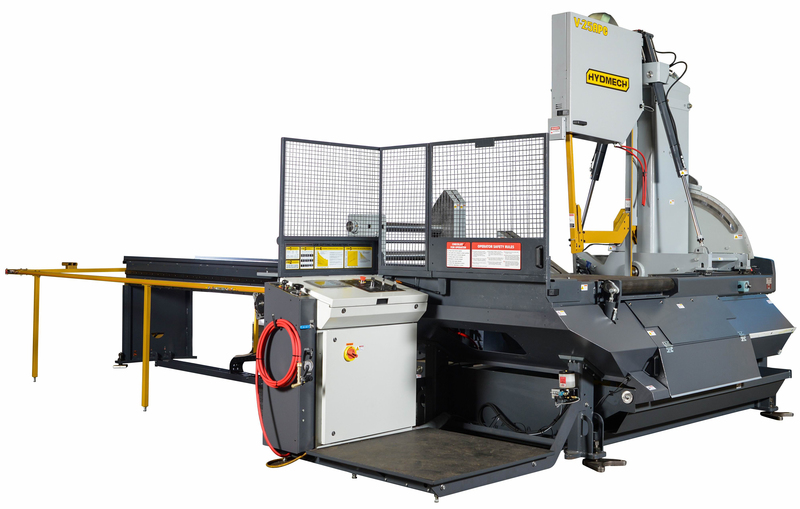 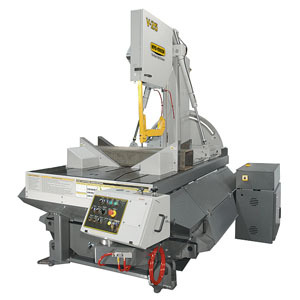 Featuring a 30″H x 25″W capacity, 10 HP motor, and 1 1/2″ blade, the V-25APC is a reliable choice for all your vertical metal cutting applications. 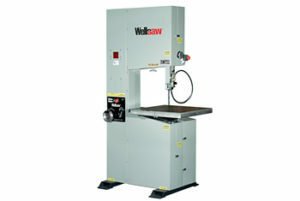 Blade Drive 10 HP VFD Machine Weight 15,000 lbs. · Shuttle features automatic multi-indexing up to 60” (120” optional) in a single stroke with automatic kerf compensation. 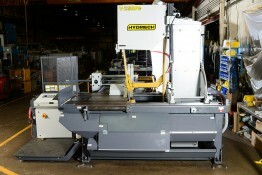 Powered by a rack and pinion servo drive. 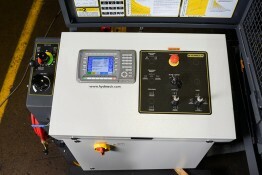 · Cast iron band wheels · Automatic PLC, touch screen control programmable up to 1000 jobs with 20 in queue. 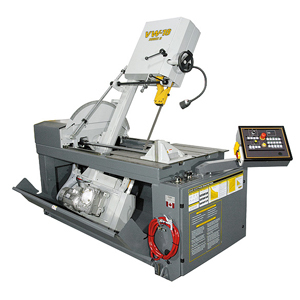 · Hydraulically powered, programmable guide arm attached to saw column.